How does a camera drone work ? Everywhere we go, we must have heard about it at least once : on the internet, in shops, on TV, on the the radio. In short, we cannot miss it. This technological phenomenon makes it possible to discover the city, flying over landscapes for example, and taking beautiful pictures. It is a very popular product among people who are passionated about video or who love photography. But to obtain a powerful device, it is often necessary to break the piggy bank. For sure, buying a drone is a real investment. 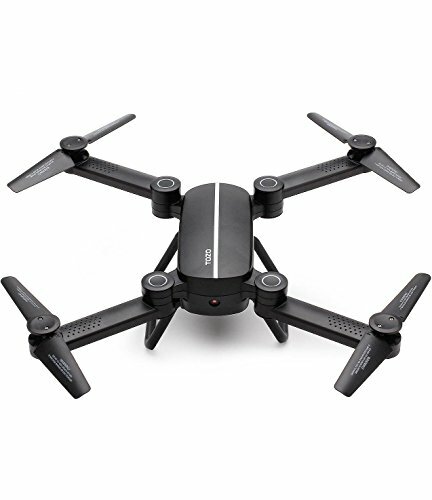 There are a wide range of models available on the market, proposed by various brands, so here comes the selection and our advice to choose the right drone with camera for you. To help you make your choice, we have gathered below, the five best drones of the moment. 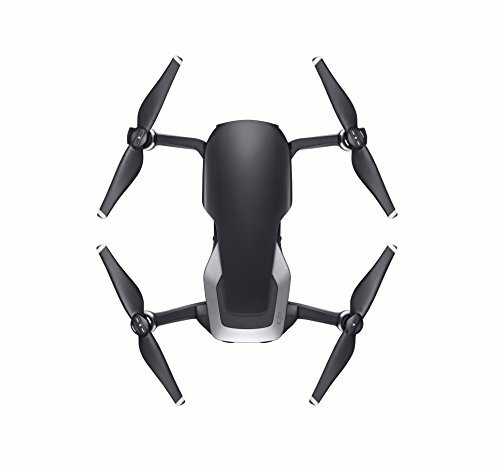 The Parrot Bebop 2 power is one of the latest products marketed by the brand. With a battery life of 60 minutes and sold with two batteries, you can shoot and film without any limit. The quality is just excellent (14 megapixels and Full HD), and the image is completely stabilized thanks to the three included digital axes. 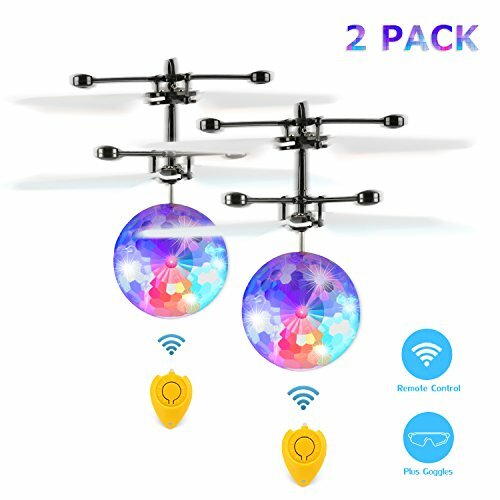 By choosing this product, you will have different flight modes, so it is suitable for everyone, whether you are a beginner or expert in the field. The advantages of this Parrot drone are multiple. First of all, the exceptional image quality with 14 million pixels. Then the stability, thanks to the digital nacelle and finally the autonomy of one hour of flight. 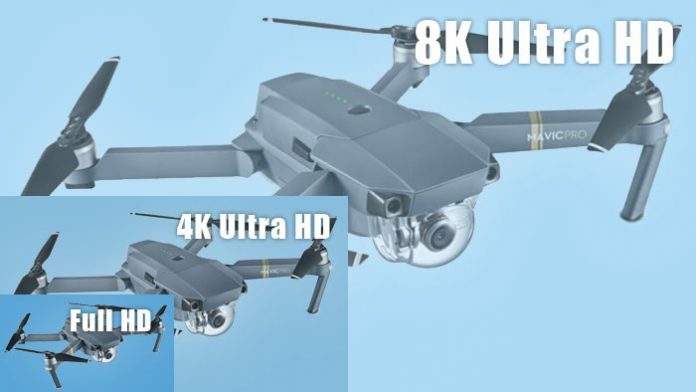 Two weak points we have noticed: there is no protection for the shutter and then the price which is still quite high for a recreational drone : ​​699 £ on average. The DJI brand is one of the most famous one in this field. 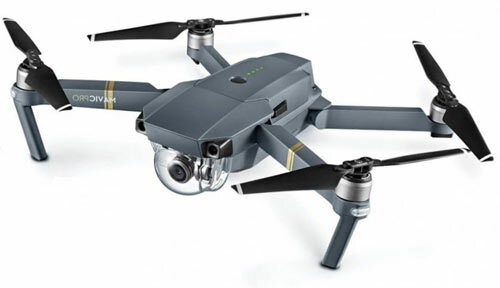 The Mavic Air Drone is a high-performance drone with a 4K camera and 32 MegaPixels Sphere Panoramas, different flight modes, and very precise obstacle detection. By purchasing this product, you can guide it with ease, and this, over a long range up to 8 miles. Note that, you can take it everywhere with you as it holds a small size, perfect if you want to go on a trip for example! This Mavic Pro drone has serious advantages. First of all it is easy to use, even for a novice. 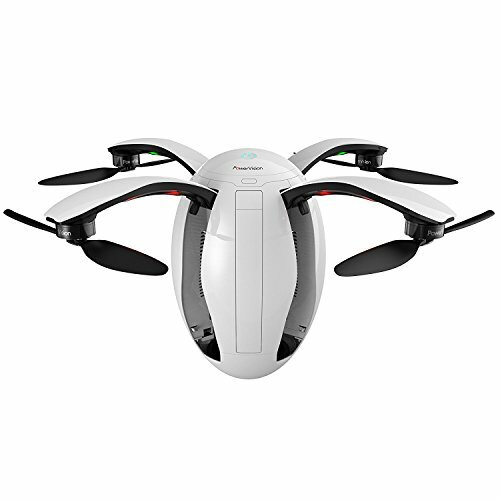 It has a flight secure system, the Flight Autonomy technology to limit the risk of accident. The image quality is magnificent and its long range of 8 miles is just extraordinary. For weak points, the editorial noted the lack of micro-sd card in the package. You will need to buy one separately. And the price is quite expensive as it turns around 700 £. 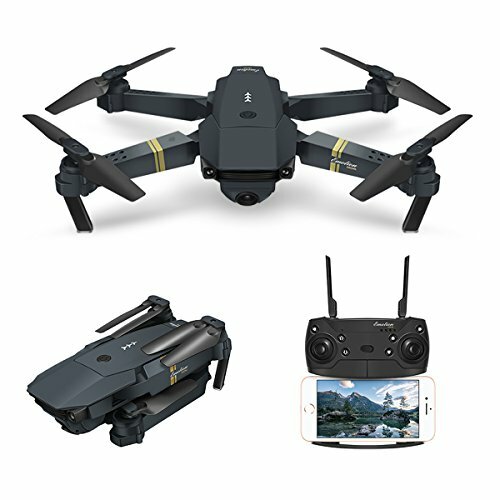 ✓ The Mavic Pro is a powerful quadrocopter drone. It offers a flight duration of 21 minutes for 8 miles range! 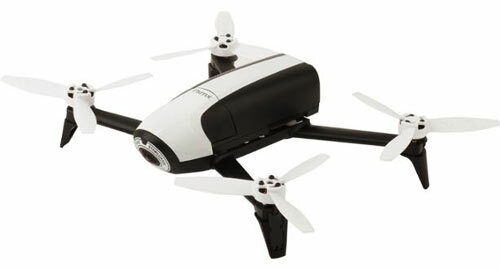 Weighing only 500 grams, you can take this drone wherever you want and with ease. With a battery that can hold for 25 minutes, the product has a very good image quality with a 1080P full HD camera. The flight stability is remarkable thanks to the Fish Eye lens, and the value is here, very appreciable. 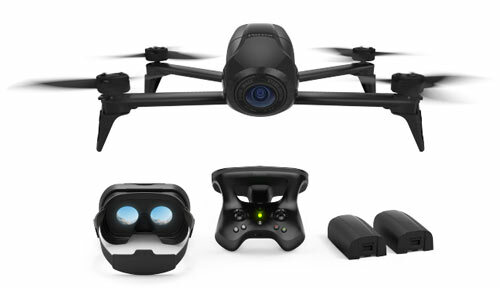 The drone is sold from € 499 on the market. By choosing this model you will be delighted with the image quality, with its 1080p Full HD camera. Then, the stability in flight is incredible and the light weight allows it to reach crazy climbing speed. A quality-price ratio at the top. We regret the limited range, the lack of functionality and autonomy in real conditions that is less than 20 minutes of flight. 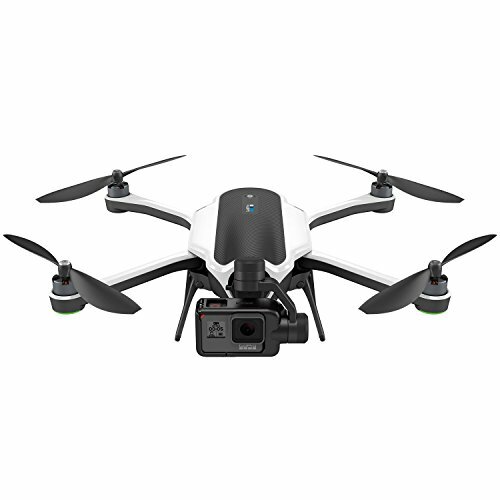 If you have a budget around 800 £ and you want to take incredible photos, then you have just found the ideal drone: the GoPro Karma. Very compact, you can take it everywhere with you, whether in your bag or others. The GoPro brand is well known in the market, thanks to the easy handling of its products. Suggested retail price of this model: 800 £. We appreciated the video and photo quality of the GoPro camera, worthy of the brand. 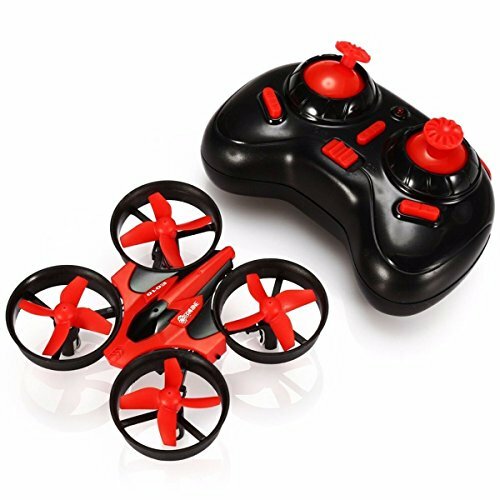 We were blown away by the speed of the drone which can go up to 40 mph and especially its simplicity of use even for a beginner thanks to its remote control type controller. The only negative point noted is autonomy. Indeed, in real conditions, we did not spend the 18 minutes of flight. By adopting the PowerEgg marketed by PowerVision, you asked for high-performance technology and quality. 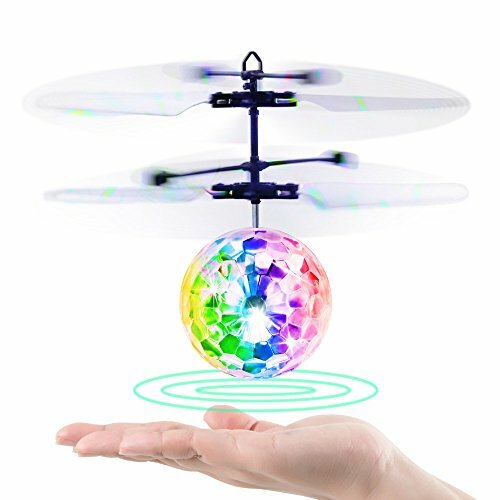 Featuring a unique and modern design, the drone is manipulated through the movements of the hand. 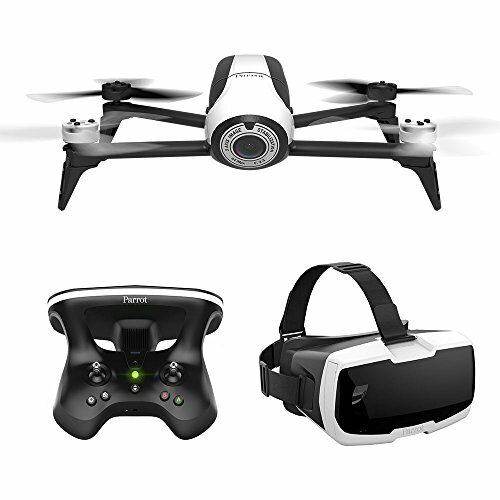 It is an ideal flying camera to capture moments with family or friends, thanks to the integrated 4K UHD camera. 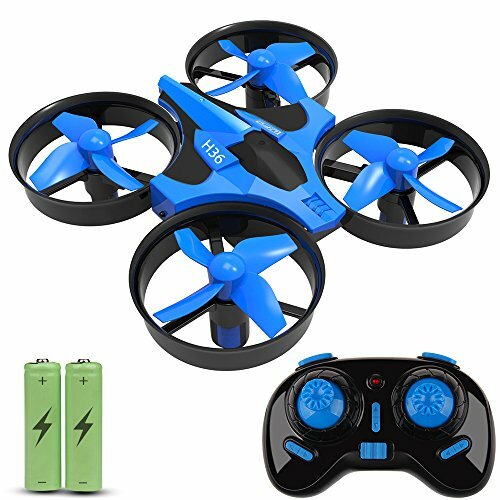 This flying drone for less than 700 £ has many qualities. 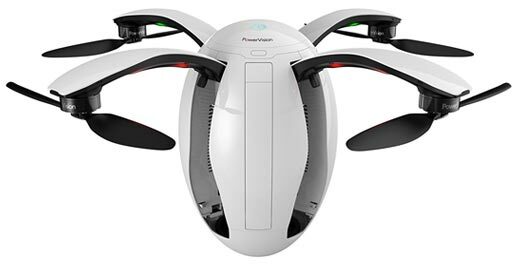 Such as the egg-shaped design which is just sublime, the quality of materials, the assembly of the product and the speed of the drone to move in the air. The only thing we can criticize on this device is the autonomy which is only for 23 minutes and less than 20 minutes in real condition. ✓ Rich in intuitive features: takes off with just a button. 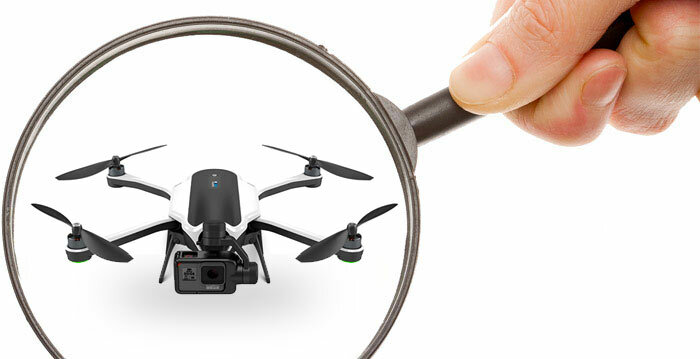 To choose your drone with camera, it is recommended to pay attention to some criteria. Here are the important points to consider when acquiring your product, to be sure you are making the right purchase. Depending on the brand and model chosen, the drone will have more or less autonomy. This is an essential criterion in your choice, which should not be taken lightly. In this case, everything depends on the range of your device and the way you use it. Indeed, if it has a limited range, then it is useless to invest in a large autonomy. On the other hand, if the drone can go far enough, it will need energy and must have significant autonomy. 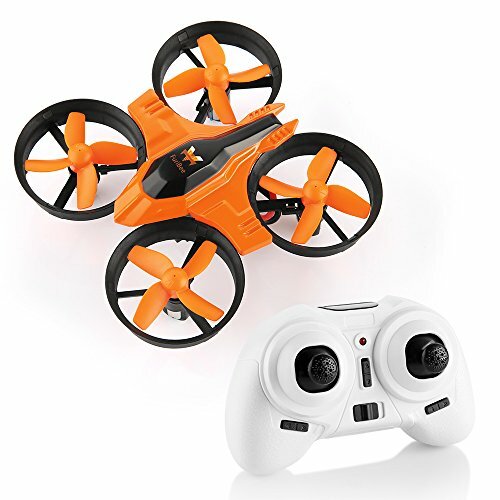 Depending on your budget and your desire, you will choose for a drone that offers a more or less important range. Entry-level models, for example, have a range of about 150 meters, while others can go up to many miles. It all depends on what you want to do with your drone! 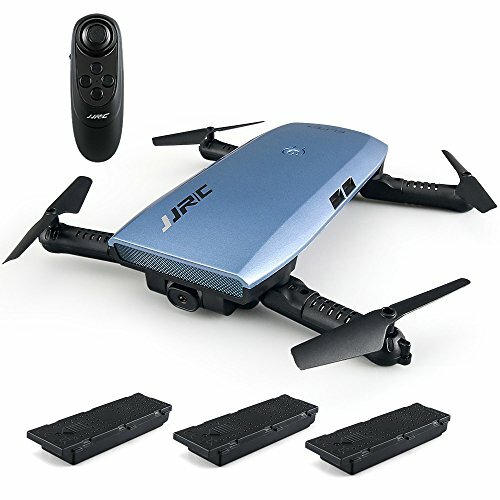 The drones available on the market nowadays, usually have one of these three types of cameras: the low end (480p), the medium range (4K and HD, 30 FPS), and finally, the high-end camera (4K and HD, 60 FPS). As for the other criteria, the video quality depends on your desire, your expectations which have a big impact on the price of the product. 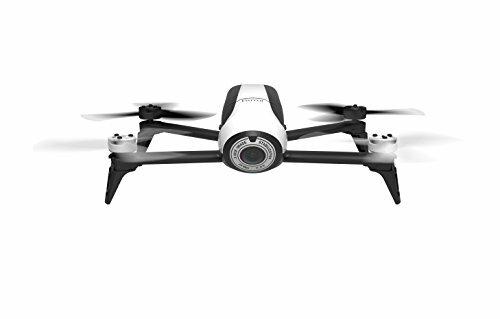 The features of the drones vary from a model to another, and some can be really interesting: the “Follow me” option that allows your device to follow you when you go from point A to point B, so you can be filmed while walking or jogging for example. There is also an option on few models that allows the multiplication of shots for example. We recommend that you look at these features that can really help you achieve your goals. 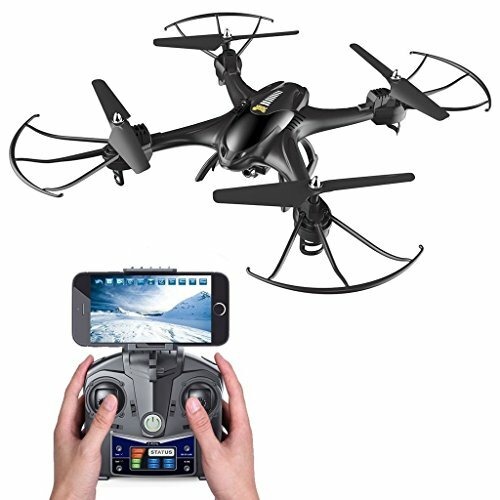 It is very important to know the applicable laws for drones, before purchasing. Indeed, many people buy a drone and then realize that they need to drive away several miles to be able to use it. These laws vary depending on the country or region you are in, but in UK they are quite strict. For example, it is mandatory to go out of the city to have fun with your drone, so it is better to be in a quiet urban area. We strongly recommend that you check about this beforehand to avoid bad surprise! Drones with camera usually include a flight plan and a controller, making it easy to handle from a distance, even when it is beyond your field of vision. 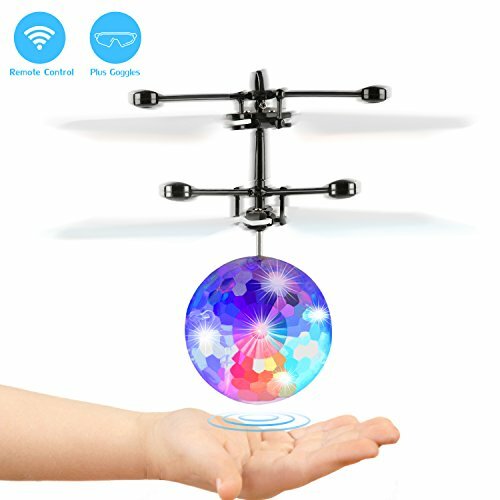 Previously, the control of the drone was carried out via a remote control, but nowadays, a new technology has emerged: the one that allows you to control the device with the gesture of your body. A very powerful system that has already convinced a large part of users. Note that some models can be handled through a smartphone and tablet application, which is quite intuitive and enjoyable. Needless to say, when purchasing a camera type drone, the most important is the quality of the picture. You will need at least an HD resolution to make beautiful videos and have fun editing later!